The District provides a number of services to most of the Lake Shastina area. These services include domestic Water, Wastewater, Fire, Police and Animal Control. The Administration building for the District is located at 16320 Everhart Dr. You may use this location to initialize water and sewer services. Across the street from the Administration Building are the Fire and Police Departments. The Police have full time officers on duty. Police and Animal Control can be reached at 530-938-2226 or for an emergency at 911. The Lake Shastina Police Department works in cooperation with the County Sherriff's Department and California Highway Patrol. The Fire Department is a volunteer department of approximately 25 members and a full time Fire Chief. The Fire Department number is 530-938-3161 for general calls and 911 for emergencies. Water is provided by the District from water wells pumping into storage tanks throughout the Shastina area. Some of the higher elevations are served with water booster pumps due to the elevation. Wastewater treatment is done at the wastewater plant located north of the Lake Shastina area. Due to the varied topography of the Lake Shastina area, most of the district is serviced by Sewer Lift Stations which pump to the plant. Should you have water or wastewater service questions call 530-938-3281 between 8 am and 4:30 pm or 530-938-4113 if after 4:30 pm. Wastewater billing is done every 3 months. To reach Robert, Public Works Supervisor, please call 530-938-3281 or email robert@lakeshastina.com. Robert Moser, District Interim General Manager, can be reached by phone at 530-938-3281, ext. 103, or by email at info@lakeshastina.com. Debbie, Senior Accounting Clerk, 530-938-3281, ext. 109; email debbie@lakeshastina.com. Sharon, Accounts Receivable Clerk, 530-938-3281, ext. 107; email sharon@lakeshastina.com. To protect the public health, safety, and environment of our constituents by providing high quality water, wastewater, and public safety services in an ethical, safe, efficient, and financially responsible manner. 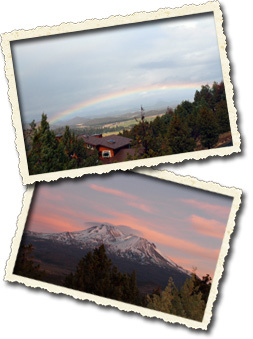 How the District Was Formed: In 1978, the Board of Supervisors of the County of Siskiyou, California, approved the formation of the Lake Shastina Community Services District through Resolution 286. This resolution, found here, serves as the Authorizing Statute of the LSCSD.